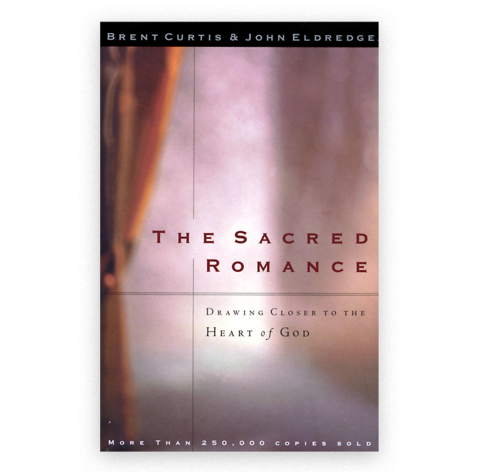 The story that is the Sacred Romance begins not with God alone, the Author at his desk, but God in relationship, intimacy beyond our wildest imagination, heroic intimacy. The Trinity is at the center of the universe; perfect relationship is the heart of all reality. Think of your best moments of love or friendship or creative partnership, the best times with family or friends around the dinner table, your richest conversations, the acts of simple kindness that sometimes seem like the only things that make life worth living. Like the shimmer of sunlight on a lake, these are reflections of the love that flows among the Trinity. We long for intimacy because we are made in the image of perfect intimacy. Still, what we don't have and may never have known is often a more powerful reminder of what ought to be. Our story begins with the hero in love. As Frederick Buechner reminds us, "God does not need the Creation in order to have something to love because within himself love happens." And yet, what kind of love? There are selfish forms of love, relationships that create closed systems, impenetrable to outsiders. Real love creates a generous openness. Have you ever been so caught up in something that you just had to share it? When you are walking alone in the woods, something takes your breath away—a sunset, a waterfall, the simple song of a bird—and you think, If only my beloved were here. The best things in life were meant to be shared. That is why married lovers want to increase their joy by having children. And so it is with God. "Father," Jesus says, "I want those you gave me to be with me, right where I am. I want them to be one heart and mind with us" (John 17). Overflowing with the generosity that comes from the abundance of real love, he creates us to share in the joy of this heroic intimacy. Want more? Get your copy of the Sacred Romance today!